Raja R. Gopaldas is a Thoracic Surgeon with the nationally reputed Prairie Cardiovascular Consultants since 2014 and is renowned for Minimally Invasive Cardiac Surgery. He is the only surgeon in the Illinois Region who routinely performs complex and intricate heart surgeries such as replacing an entire heart valve, repairing valves, procedures for abnormal heart rhythms (MAZE) and removal of tumors through a keyhole incision ( about 2 inches to 3 inches long) without cracking the breast bone open. He was featured on the front page of the State Journal Register for his accomplishments. In February 2017, Dr. Gopaldas was recognized for his accomplishments in Minimally Invasive Cardiac Surgery, by the State in a House Resolution that was passed in his honor by the 100th General Assembly of the Illinois House of Representatives and is the only heart surgeon to carry this honor in the State of Illinois. Dr. Gopaldas currently leads the largest Minimally Invasive Heart Surgery program in the region and performs minimally invasive heart surgery exclusively at Prairie Heart Institute/St. John's hospital. Dr. Gopaldas is very well accomplished and one of the youngest heart surgeons to be trained at the Texas Heart Institute in 2007. Dr. Gopaldas has won numerous awards and accolades in the field of surgery, research and education. Dr. Gopaldas also strives to develop a strong aortic aneurysm program in Springfield, IL as a part of the Prairie Aortic Aneurysm Program - the A-Team initiative. Dr. Gopaldas completed his training in heart surgery at the prestigious Texas Heart Institute and Baylor College of Medicine under the mentorship of world renowned heart surgeon and pioneer in the field, Dr. Denton A. Cooley. Dr. Gopaldas gained his experience in complex aortic and aneurysm surgery under the most renowned aortic surgeon Dr. Joseph S. Coselli. Additionally, Dr. Gopaldas, gained his experience in thoracic oncology (focusing on lung and esophageal cancer ) at the MD Anderson Cancer Center in Houston, Texas. Before coming to Prairie Heart Institute, he worked as a heart surgeon at the University of Missouri from 2010 and was the the Director of Cardiothoracic Research. He specializes primarily in heart and aortic surgery , lung and vascular surgery. 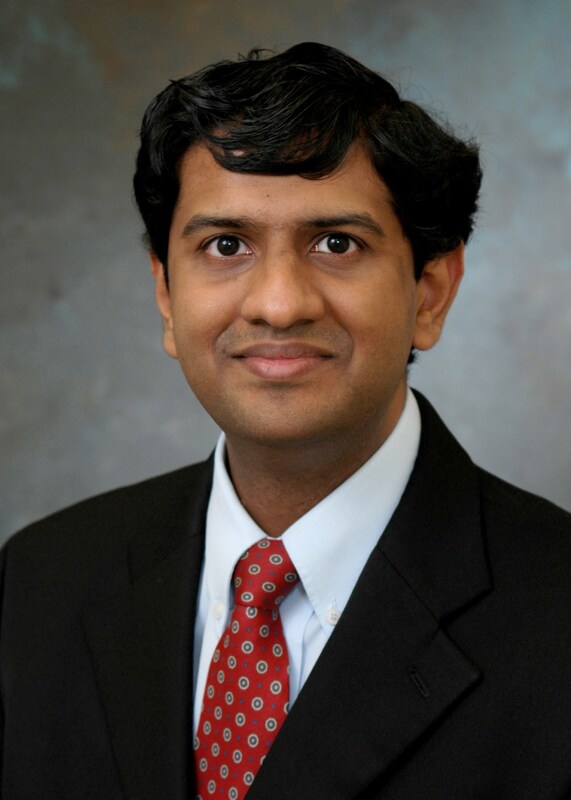 Dr. Gopaldas was also elected to the faculty council of MU in 2012 and represented the School of Medicine. In the same year, he was inducted as a Fellow of the American College of Surgeons. Dr. Gopaldas belongs to one of the largest cardiovascular practice groups in Illinois. His interests include Aortic aneurysms, Minimally Invasive Surgery, Endovascular Surgery, Cardiac Surgery, Cardiovascular Diseases, Cardiovascular Surgery, Congenital Heart Disease, Prosthetic Heart Valves, Esophageal Surgery, Esophageal Cancer, Esophageal Disorders, Atrial Fibrillation, Heart Disease, Heart Disease in Women, Thoracic, Congestive Heart Failure, Heart Transplant, and Aortic Aneurysms. In particular Dr. Gopaldas has a passion for aortic aneurysm and minimally invasive/percutaneous valve surgery. Dr. Gopaldas believes in delivering the best and most compassionate care for his patients. Dr. Gopaldas is very directly involved in patient care and primarily responsible for the surgical decisions/operations on his patients. Dr. Gopaldas strives to provide the best cardiovascular surgical services and strongly believes in being approachable to families and patients especially while handling complex problems. Dr Gopaldas sees patients for potential aortic surgery at the Thoracic aortic clinic. Referrals may be set up by calling the Prairie Heart Institute at 217 788 0706.